Another SharePoint farm installation, another problem. 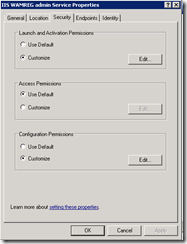 I had to install SharePoint 2007 (don’t ask…..) on a Windows Server 2008R2 development machine. This is quite doable, as long as you install Service pack 2 of SharePoint. I figured it would be no problem and just another install, like I’ve done a gazillion times before. to the user [account and SID]. 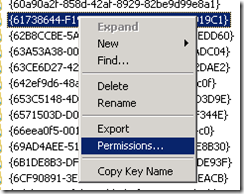 This security permission can be modified using the Component Services administrative tool. I’ve seen this a few times before and knew how to fix it. Now for the tricky part, search the component which has the same GUID as the error message has. 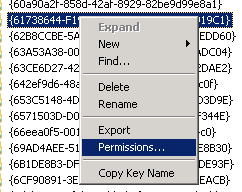 This sounds easy, but the downside is you can’t sort the Application ID column. Lucky for us you can also do a search in the registry for this GUID and it’ll tell you what the component’s name is. Knowing the name makes the search a bit easier as the list is sorted alphabetically. Right-click on the component and view the properties of it. 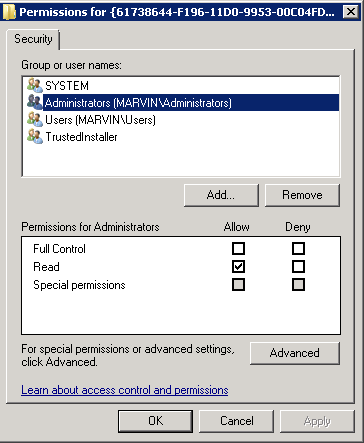 Navigating to the Security tab gives you some options, but as you can see all of these options are disabled on a Windows 2008R2 machine. 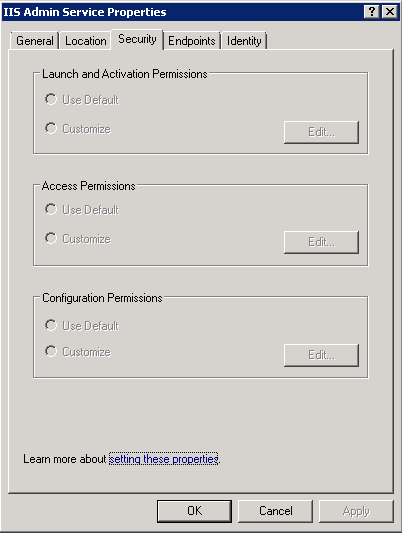 Apparently the security model has changed a bit on Windows 2008R2 as these were still enabled on Windows 2008. 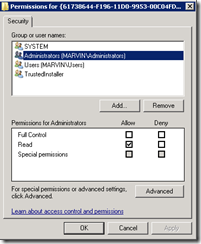 Opening the Component Services as an Administrator makes no difference in what you will see. Select the Administrators group and hit the Apply button. 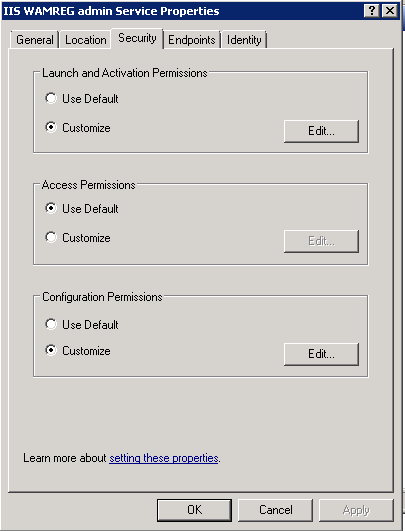 Add the account which was mentioned in the event log entry and assign the Local Launch and Local Activation permissions to it.